British Poor Laws were a body of laws designed during the Elizabethan era to provide relief for the poor population living throughout the United Kingdom. Such laws began in sixteenth century England and prevailed until after World War II and the establishment of the welfare state. Poor Laws provided relief in various forms, including care for the elderly, sick, and infant poor, and the establishment of supportive work programs for all able-bodied poor. Such programs were often run through local parishes until 1830, whereupon the state of poverty was recognized as a state of immorality. The characterization as a "pauper" thus became an additional burden, implying not only incapacity but also depravity. At that time, Poor Laws were amended to offer workhouse employment for all able-bodied poor, and mandated conditions of unpleasantness regarding housing conditions for their poor residents. Such conditions prevailed to prevent people from abusing acts of charity. Unfortunately, due to such efforts to dissuade those capable of working and supporting themselves, the conditions in workhouses were appalling, and many of those legitimately in need of help suffered excessively. Even so, there were often insufficient places in the workhouses to satisfy the needs of the poor population. In the twentieth century, public housing and other social services began to develop outside the scope of the Poor Law; means tests were developed, and relief that was free of the stigma of pauperism became available. Following the end of World War II, Poor Laws were replaced by systems of public welfare and social security. Yet the problem of poverty remains. Its solution involves more than state-run programs; it requires a change in the hearts and minds of people to care for each other as one family. For much of the period of the Poor Laws, poor members of the community were classified in terms of three groups. The "impotent poor" were a group who could not look after themselves or go to work. They included the ill, the infirm, the elderly, and children with no-one to properly care for them. It was generally held that they should be looked after. The "able-bodied poor" normally referred to those who were unable to find work, either due to cyclical or long term unemployment, or a lack of skills. Attempts to assist these people, and move them from this state, varied over the centuries, but usually consisted of relief, either in the form of work or money. "vagrants" or "beggars," sometimes termed "sturdy rogues," were deemed those who could work but refused to find employment. In the sixteenth and seventeenth centuries such people were seen as potential criminals, and apt to do mischief. They were normally seen as people needing punishment, and as such were often whipped in the market place as an example to others, or sometimes sent to so-called "houses of correction." Before the English Reformation of the sixteenth century it was considered a Christian duty to care for the sick and needy. With the Church of England’s break from the Roman Catholic Church, some of this attitude was lost, which meant it became necessary for legislation to be created in order to care for the "deserving poor." Tudor Poor Laws, first introduced in 1495, aimed to deal with vagrancy, peasant begging, and charity, and were prompted by a desire for social stability. Such laws were harsh towards the able bodied poor as whippings and beatings were acceptable punishments. In the early sixteenth century, parishes began to register those of their communities considered "poor." By 1563, it became legally acceptable for Justices of the Peace to collect money from their communities on behalf of poor relief efforts. Under this legislation, all poor community members were to be classified as one of the three defined groups of poor. In 1572, the first local poor tax was approved to fund poor relief, followed by the implementation of social workhouses and the 1601 passage of the Poor Law Act, also know as the Elizabethan Poor Law. This act allowed for the boarding of young orphaned children with families willing to accept them for a monthly payment paid to them by a local parish. The act also allowed provided materials to "set the poor on work," offered relief to people who were unable to work, and established various apprenticeships for able-bodied children. Relief for those too ill or old to work, the so called impotent poor, often came in the form of monthly payments, donations of food, or donations of clothing. Some aged poor might also have been accommodated in parish alms houses, or private charitable institutions. Meanwhile, able-bodied beggars who had refused work were often placed in houses of correction. Provision for the able-bodied poor in the workhouse, which provided accommodation at the same time as work, was relatively unusual. Assistance given to the deserving poor that did not involve an institution like the workhouse was known as outdoor relief. There was much variation in the application of poor laws and there remained a large tendency for the destitute to migrate toward the more generous parishes, often situated in towns. This led to the Settlement Act of 1662, also known as the Poor Relief Act of 1662. This act allowed for provisional relief to only be available to established residents of a parish. Such affiliations could be traced mainly through birth, marriage, or apprenticeship, and all pauper applicants had to prove their membership to a certain "settlement." If they could not, they were removed to the next parish that was nearest to the place of their birth, or where they might prove some connection. Some paupers were moved hundreds of miles. Though each parish that the poor passed through was not responsible for them, they were responsible for the supply of food, drink, and shelter for at least one night. The Poor Relief Act was criticized in later years for its effect in distorting the labor market through the power given to parishes to let them remove "undeserving" poor. Other legislation proved punitive, such as an act passed in 1697, which required the poor to wear a "badge" of red or blue cloth on the right shoulder with an embroidered letter "P" and the initial of their parish. The eighteenth century workhouse movement began with the establishment of the Bristol Corporation of the Poor, an organization founded by an Act of Parliament in 1696. The corporation established a workhouse which combined housing and care of the poor with an affiliated house of correction for petty offenders. Following the example of Bristol, more than twelve further towns and cities established similar corporations over the next two decades. From the late 1710s, the newly established Society for the Promotion of Christian Knowledge began to promote the idea of parochial workhouses. The Society published several pamphlets on the subject, and supported Sir Edward Knatchbull in his successful efforts to steer the Workhouse Test Act through Parliament in 1723. The act gave legislative authority for the establishment of parochial workhouses, by both single parishes and as joint ventures between two or more parishes. More importantly, the Act helped to publicize the idea of establishing workhouses to a national audience. By 1776, more than one thousand parish and corporation workhouses had been established throughout England and Wales, housing almost 100,000 paupers. Although many parishes and pamphlet writers expected to earn money from the labor of the poor in workhouses, the vast majority of people obliged to take up residence in workhouses were the ill, elderly, or young children, whose labor proved largely unprofitable. The demands, needs, and expectations of the poor also ensured that workhouses came to take on the character of general social policy institutions, and often housed night shelters, geriatric wards, and orphanages. In 1782, poor law reformer Thomas Gilbert finally succeeded in passing an act that established poor houses solely for the aged and the infirmed, and introduced a system of outdoor relief for the able-bodied. This was the basis for the development of the Speenhamland system, which made significant financial provisions for low-paid workers. Widespread dissatisfaction with the poor law system grew at the beginning of the nineteenth century. The 1601 system was felt to be too costly and was widely perceived as pushing more people toward poverty even while it helped those who were already in poverty. Social reformer Jeremy Bentham argued for a disciplinary, punitive approach to social problems, whilst the writings of political economist Thomas Malthus focused attention on the problem of overpopulation, and the growth of illegitimacy. Economist David Ricardo argued that there was an "iron law of wages." In the view of such reformers, the establishment of poor relief sought to undermine the position of the "independent laborer." In the period following the Napoleonic Wars, several reformers altered the function of the "poorhouse" into the model for a deterrent workhouse. The first of the deterrent workhouses in this period was at Bingham, Nottinghamshire. 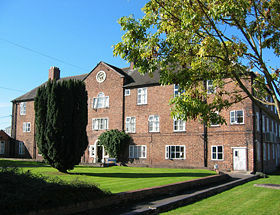 The second, established at Becher's workhouse in Southwell, is now maintained by the National Trust. George Nicholls, the overseer at Southwell, was to become a Poor Law Commissioner in the reformed system. In 1832, the Royal Commission into the Operation of the Poor Laws was written by a commission of eight members, including English economist Nassau William Senior, and social reformer Edwin Chadwick. The Royal Commission's primary concerns were with illegitimacy reflecting the influence of Malthusians, and the fear that the practices of the Old Poor Law were undermining the position of the independent laborer. Two practices were of particular concern to the commissioners: The "roundsman" system, where overseers hired out paupers as cheap labor, and the Speenhamland system, which subsidized low wages without relief. Upon its publication, the 13 volume report pointed to the conclusion that the poor law itself was the cause of poverty. The report differentiated between poverty, which was seen as necessary, as it was fear of poverty which made people work, and indigence, or the inability to earn enough to live on. The volume also served to define the term less eligibility, which mandated the position of the pauper to be less eligible, or less to be chosen, than that of the independent laborer. Under this idea, the reformed workhouses were to be uninviting, so that anyone capable of coping outside of them would choose not to enter one. The report also recommended separate workhouses for all aged, infirmed, children, able-bodied females, and able-bodied men. The report also mandated that parishes be grouped into various unions in order to spread the cost of workhouses, and that a central authority should be established in order to enforce such measures. The Poor Law Commission took two years to write its report; the recommendations passed easily through Parliament support by both the Whigs and the Tories. The bill eventually gained Royal Assent in 1834. The few who opposed the Bill were more concerned about the centralization that the bill would bring rather than the underpinning philosophy of utilitarianism. In 1834, the Poor Law Amendment Act was passed. which allowed for various forms of outdoor relief. Not until the 1840s, would the only method of relief for the poor be to enter a workhouse. Such workhouses were to be made little more than prisons; families were normally separated upon entering. The abuses and shortcomings of such systems are documented in the novels of Charles Dickens and Frances Trollope. However, despite the aspirations of various reformers, the Poor Law was unable to make the workhouse as bad as life outside. The primary problem was that in order to make the diet of the Workhouse inmates "less eligible" than what they could expect beyond the workhouse, it would be necessary to starve the inmates beyond an acceptable level. It was for this reason that other ways were found to deter entrance to the workhouses. These measures ranged from the introduction of prison style uniforms to the segregation of "inmates" into yards. Fierce hostility and organized opposition from workers, politicians, and religious leaders eventually lead to further amendments of the Amendment Act, removing the harshest measures of the workhouses. The Andover workhouse scandal, where conditions in the Andover Union Workhouse were found to be inhumane and dangerous, prompted a government review and the abolishment of the Poor Law Commission, which was replaced with a Poor Law Board under which a Committee of Parliament was to administer the Poor Law, with a cabinet minister as head. In 1838, the Poor Laws were extended into Ireland, although a few poorhouses had been established before that time. The workhouses were supervised by a Poor Law Commissioner in Dublin. The Irish Poor Laws were even harsher on the poor than the English Poor Laws; furthermore, the Irish unions were under funded, and there were too few workhouses in Ireland. As a result, the Irish Potato Famine became a humanitarian catastrophe. After the 1867 Reform Act, there was increasing welfare legislation. As this legislation required local authorities' support, the Poor Law Board was replaced with a Local Government Board in 1871. County Councils were formed in 1888, District Councils in 1894. This meant that public housing, unlike health and income maintenance, developed outside the scope of the Poor Law. The infirmaries and the workhouses remained the responsibility of the Guardians until 1930. This change was in part due to altering attitudes on the nature and causes of poverty; there was for the first time an attitude that society had a responsibility to protect its most vulnerable members. The reforms of the Liberal Government from 1906 to 1914, made several provisions to provide social services without the stigma of the Poor Law, including Old age pensions and National Insurance. From that period, fewer people were covered by the system. Means tests were developed during the inter-war period, not as part of the Poor Law, but as part of the attempt to offer relief that was not affected by the stigma of pauperism. One aspect of the Poor Law that continued to cause resentment was that the burden of poor relief was not shared equally by rich and poor areas but, rather, fell most heavily on those areas in which poverty was at its worst. This was a central issue in the Poplar Rates Rebellion led by George Lansbury and others in 1921. Workhouses were officially abolished by the Local Government Act of 1929, which from April 1930, abolished the Unions and transferred their responsibilities to the county councils and county boroughs. Some workhouses, however, persisted into the 1940s. The remaining responsibility for the Poor Law was given to local authorities before final abolition in 1948. Report of the Royal Poor Law Commission, 1834.